This template is perfect for building an awesome website for Portfolio, Agency, Photograpy and Blog. It comes with function ready for use and well commented. AP68 have multiple layouts everyone clean and fully optimized. This theme is retina ready. 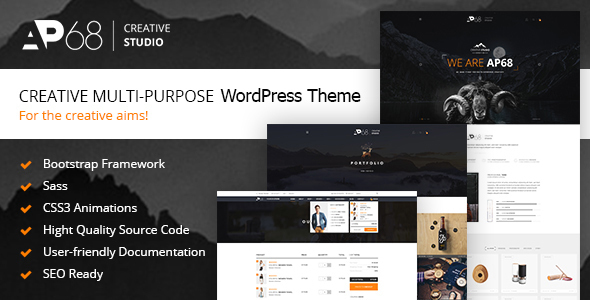 What are you waiting anymore let experience ” AP68 ” our theme. Visual Composor Page Builder with Drag and Drop layout – 20+ web element.